Dream Hotels is an ever expanding collection of the very best in luxury boutique hotels. 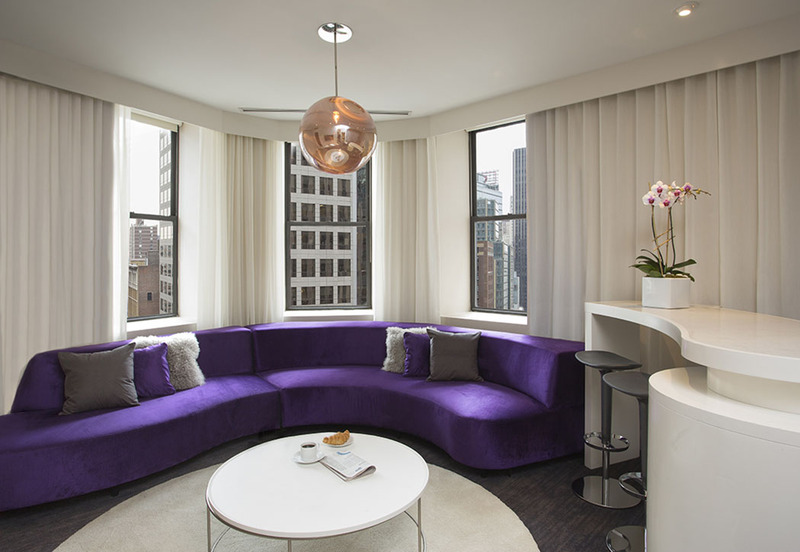 Dream Midtown in Manhattan, New York is no exception – Conde Nast Traveller described it as “One of Manhattan’s hottest properties”. 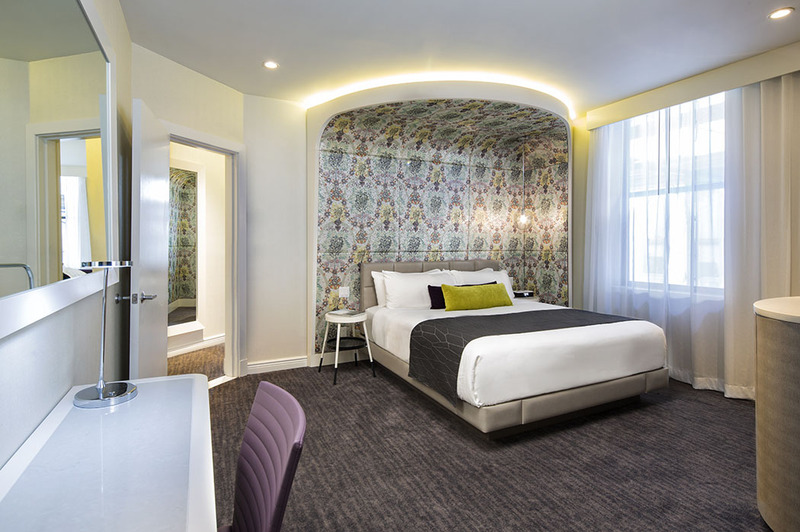 Situated in the heart of Manhattan, Dream Midtown is a restored 1895 Beaux-Arts flatiron building, now offering modern style, luxury and practicality in the form of a boutique hotel with unique touches such as artwork-covered vaulted ceilings and an exotic two-story aquarium! All the famous ‘Big Apple’ sights and sounds are at your fingertips: Times Square, Central Park, Carnegie Hall, Broadway and Fifth Avenue but with the excellent atmosphere in the soon-to-be launched lobby bar and rooftop terrace you may choose to spend as much time in the hotel as out of it. 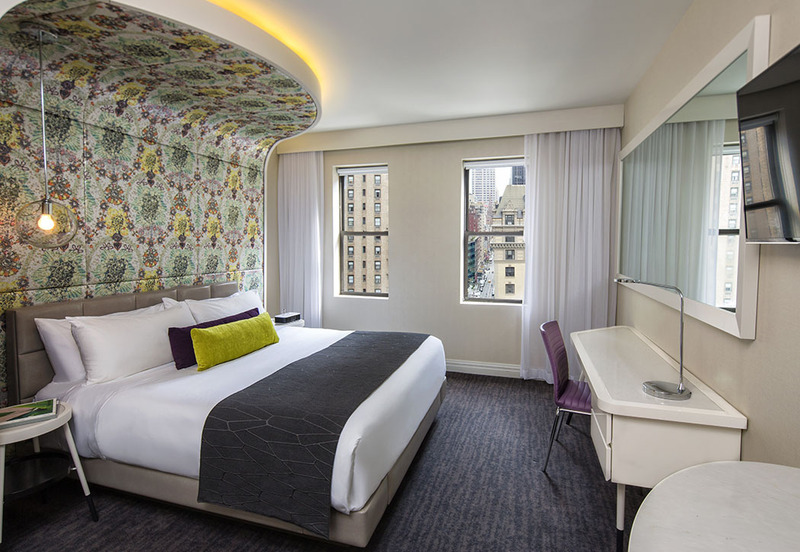 A stay at Dream Midtown NYC offers you a choice of 219 bedrooms and suites, all with newly redesigned interiors, luxurious amenities and incredibly friendly service that truly makes a difference to a stay in NYC (not often known for its friendly nature!). There are nine accommodation levels to choose from to suit your trip, whether it’s business or pleasure. The choices include: the 1,500 sq. 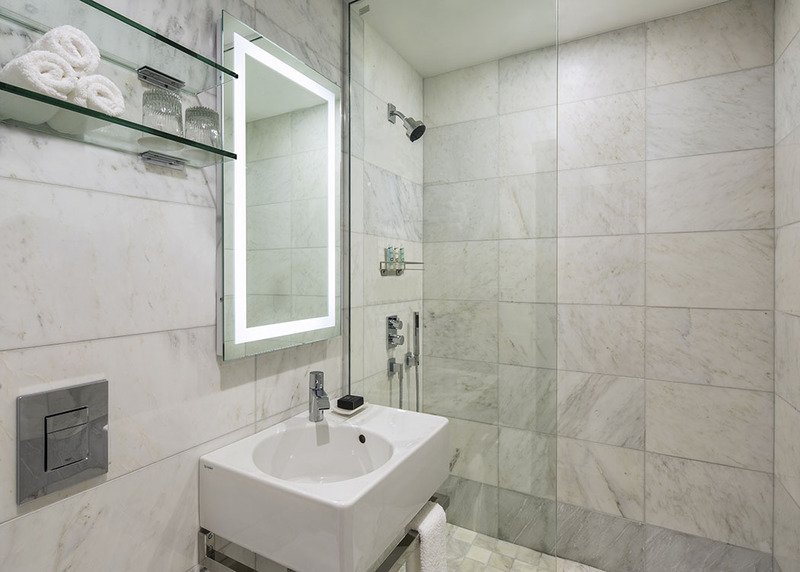 ft Presidential Suite featuring 3 bedrooms with king-size beds, separate living areas, marble bathrooms and views of Columbus Circle; the 500 sq. ft. 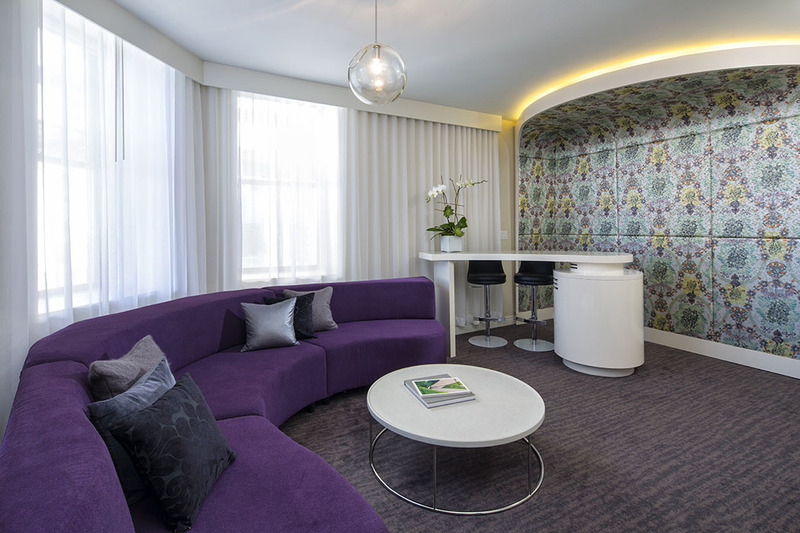 Platinum Suite with king bedroom, separate living area and 2 bathrooms; right down to the simplest of their still luxurious bedrooms: the 220 sq. ft. Bronze Full Room offering stylish space to relax in with an incredibly comfortable bed and private marble shower bathroom. 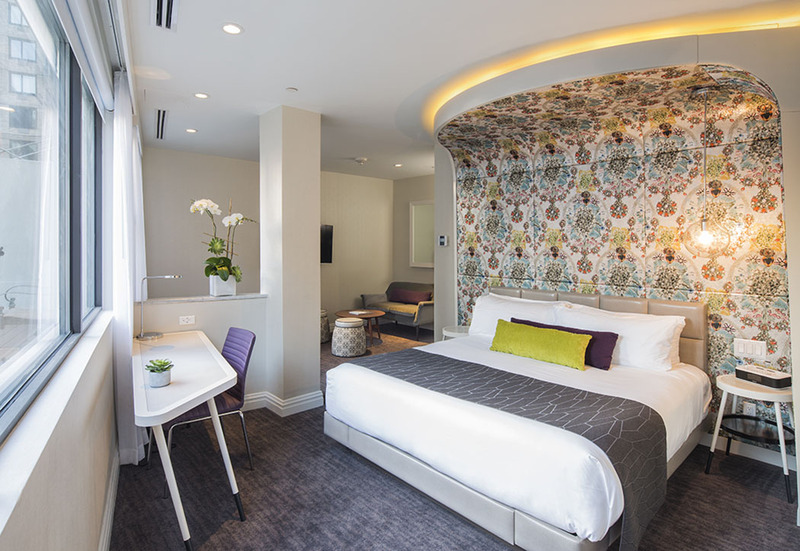 All the rooms enjoy newly redesigned interiors; stunning beds with striking canopy headboards as well as fanciful design elements like polished mirror walls and classically styled bathrooms featuring Carrera marble and stainless steel fixtures. You will ‘dream’ in absolute comfort during your stay in one of their allergen-free, pillow-top beds with feather duvet and 300-thread-count Egyptian cotton bedding. 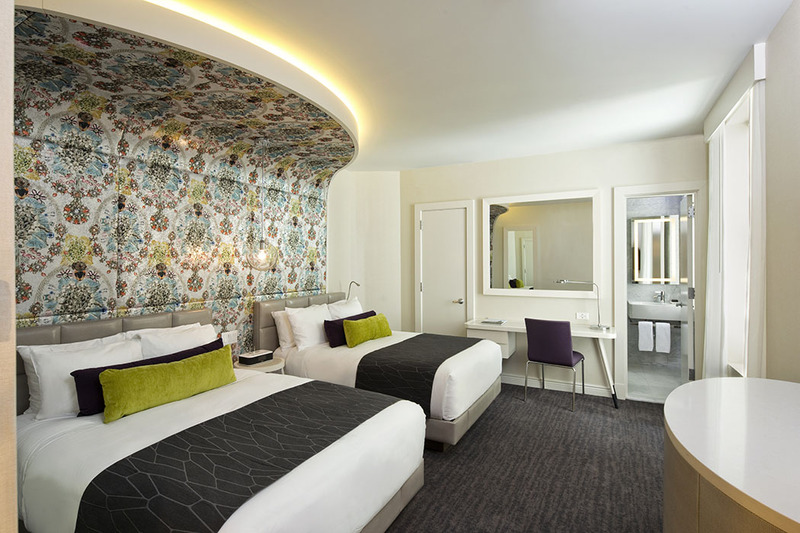 If you want to plug in and tune out, the guestrooms also offer high-speed wifi, flat screen TVs, DVD players (upon request), radios with bluetooth connectivity and wireless charging capabilities for smart phones. Hotel guests also have access to the Crunch Fitness Gym at 250 W. 54th Street to keep you in shape throughout your stay. 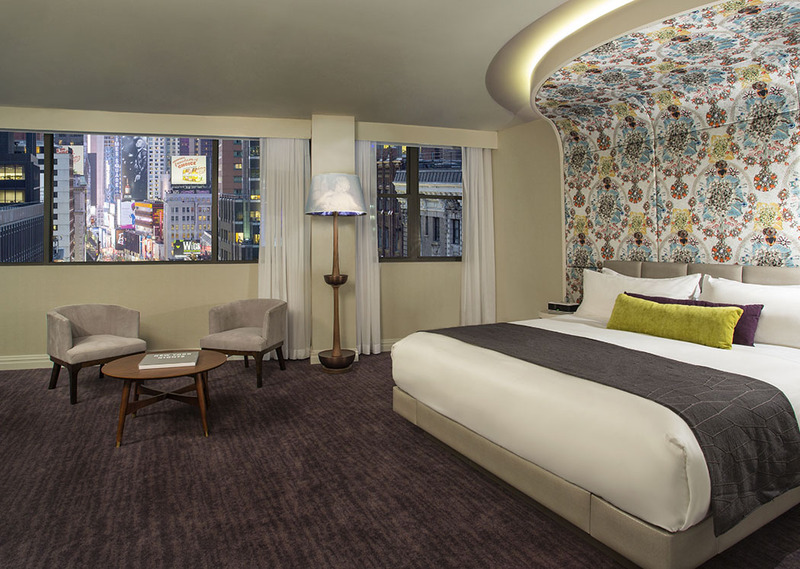 Room Tip: The higher floors have the best views of Manhattan and experience the least street noise. The staff at the hotel provide an unobtrusive but very high-level of service with the occasional surprise thrown in to delight their guests. Combine this great level of service with a vast selection of cocktails and beers available in the Lobby Bar (launching in Spring 2015) and the DJ-sound tracked cocktail party in the Rooftop Lounge (launching in Summer 2015) and you will have very little reason to leave the hotel. However if you are keen to experience the sights of NYC, you will find them all pretty much on your doorstep, including: Madison and Fifth Avenue shopping (2 blocks away), Central Park (4 blocks away), the Rockefeller Center (5 blocks away), Broadway (0.25 miles away), the Met (2.4 miles away), the Guggenheim (2.5 miles) and the Statue of Liberty (4 miles away). The hotel’s restaurant: Serafina combines the energy and excitement of Broadway with a casual, perfectly relaxed indoor and outdoor dining experience. This Fellini movie-inspired bistro, with actual Fellini movies projected onto the walls during your meal, is truly the perfect venue to enjoy a traditional, rustic Italian dinner under the hand-painted vaulted ceilings with Murano-glass spaghetti lights. At the weekend you can enjoy a delicious brunch in Serafina with a Bloody Mary, Mimosa or Bellini to wash it down. Dream Midtown will soon also feature the newly launched Lobby Bar offering a delicious selection of light tapas dishes to share with friends. 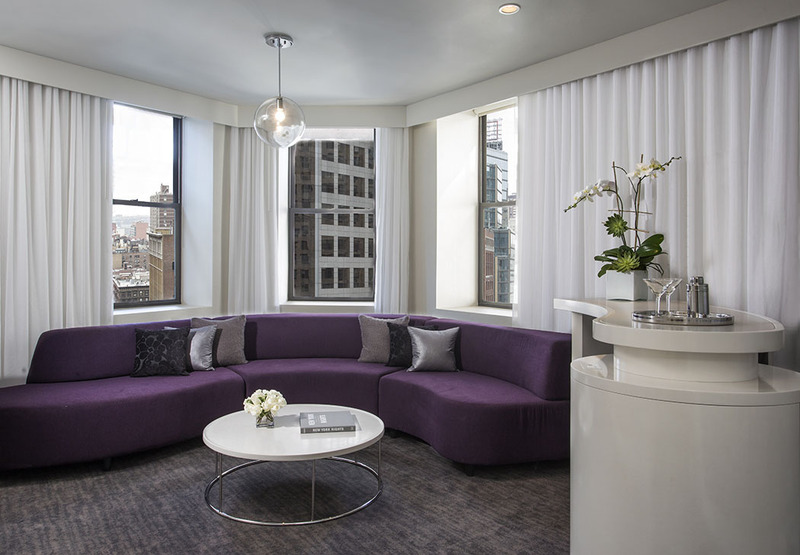 So, if you’re looking for a unique bite of the big apple with unexpectedly friendly service and stylish, comfortable accommodation then look no further than Dream Midtown – a boutique hotel and a whole lot more.